Meet Kotomi, the character who is introduced to the viewers as a genius girl who doesn’t have any social skills at all. Because of her intelligence level, the school tells her that she doesn’t have to attend classes, so she chooses to spend her time in the school’s library reading as many books as possible, but Tomoya, our main protagonist, usually spots her with a pair of scissors. He questions why she would have those scissors. Why? Let’s go into Kotomi’s past, and how it may have led her to what she is now. Kotomi was born to two of most intelligent scientists in the world, so it’s obvious that she would be gifted. The moment her past goes downhill is when her parents promise her that they’ll be there for her birthday. Her father asks her what she would like for her birthday, and she tells them that she would like a teddy bear, only because she has read in books that say that girls adore teddy bears (she does not mention this to her parents). 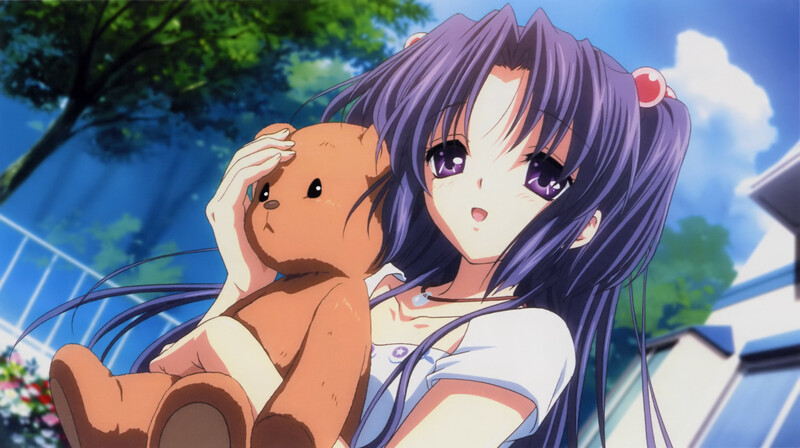 However, a business trip comes up, so her parents tell her that they’ll try to find the best teddy bear out there for her, but Kotomi just tells her parents that she hates them, and how she doesn’t care about the teddy bear, running to her room. Kotomi’s actions here only show how any usual daughter who rarely spent time with her family would act. But the thing is, these last words that she ever told her parents would probably be one of the most regretful things one could ever say. After her parents leave, she finds out on her birthday that the airplane that her parents were on had malfunctioned and went down. They’re dead. A mysterious man (part of her parents’ research team and Kokomo’s godfather) visits her house, asking if he could check her parents’ room to search for the important research paper that her dad had written up, but she assumes that he is a bad person. Because he was looking for the paper, Kotomi finds a paper on her father’s table and believes that it was the important research paper and burns it. I lie on the ground, all curled up and crying, wondering what I’ve done wrong. God, please, I promise I will study hard and work hard. Will you give me my parents back? And that’s her past that led her to who she became: a genius girl who studies all day long. But the scissors? She has decided to punish herself by cutting out any page out of any book or any newspaper clipping about her parents and pasting all over her dad’s old study room. Makes your eyes start to well up? Mine too. The important research paper that her father had written up was in a briefcase of his. Years later, the briefcase somehow eventually made its way from country to country, to Kotomi. And the research paper was thrown out. You know what was in there? A teddy bear. 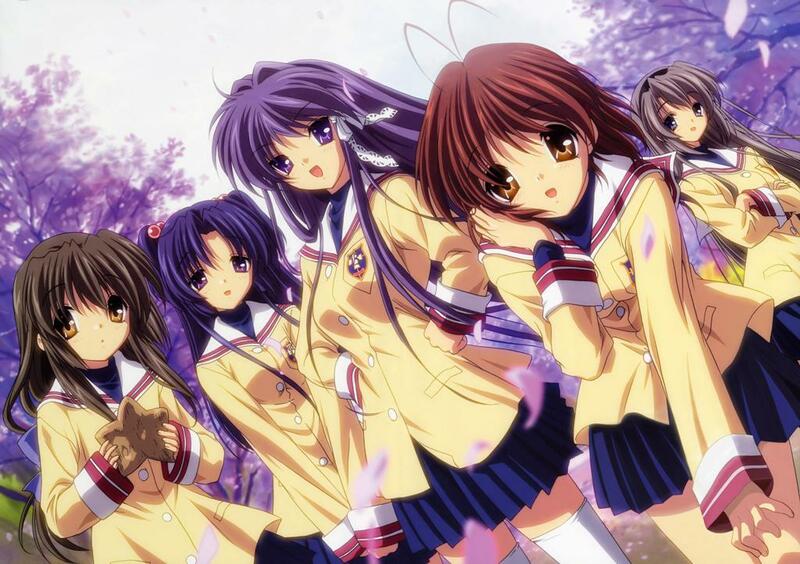 This entry was posted in Anime and tagged Anime, Clannad, Dead Parents, Emotional, Featured, Genius, Kotomi Ichinose, Prodigy, Tomoya, Violin, Visual Novel. Bookmark the permalink. 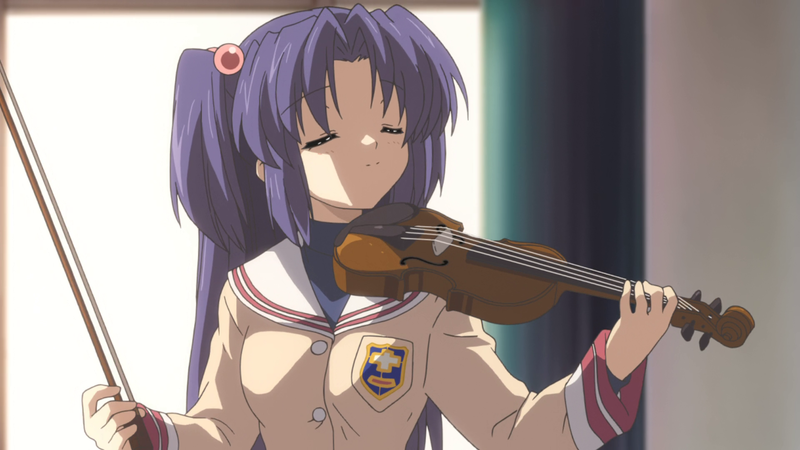 Kotomi is one of my favorite characters. I enjoyed her story arch the most during the first season. Read this clannad paordy of some guy I don’t know. It’s awesome but he’s not getting the right exposure. That’s why I want to help him.